This page describes the process for nominating papers on computer graphics and interactive techniques for the Research Highlights (RH) column in Communications of the ACM (CACM). Anyone in the graphics research community may nominate papers using the form at the bottom of this page. 1. Are the results recent, significant, and exciting? 2. Are the results of general interest to the CS research community? A paper might be chosen for RH because it opens up a new area in a field, or because it has the potential to be a definitive milestone. A paper might be chosen because it brings well-known techniques from one area to a new field, or because it describes an exciting application of known ideas. Generally, papers are not chosen when they seem to be of interest to only a relatively narrow sub-community. This distinguishes RH papers from some “best” paper awards, which can be quite technical or focused. In contrast, highlights should be accessible to a broad part of the CS research community. 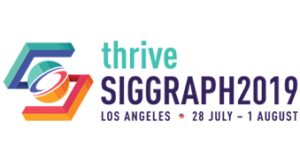 Nominations from the graphics community are forwarded to a selection committee comprised of the current editor-in-chief of Transactions on Graphics and four recent technical papers chairs from SIGGRAPH and SIGGRAPH ASIA. This committee selects approximately six papers published in the past few years and recommends them to the CACM Editorial Board. The Editorial Board chooses all or some of these to appear in the RH column. Use the form below to nominate a paper for the RH column. Please do not nominate a paper for which you would be considered to have a conflict of interest in reviewing (e.g. work at the same institution or collaborated recently with one of the authors). I do not have a conflict of interest with this paper (see above).